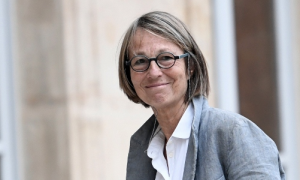 French culture minister Françoise Nyssen has outlined a series of economy measures and changes to be implemented by public broadcaster France Télévisions as part of the reform of public service media in the country. Youth-oriented channel France 4 will be merged with France 5, which will have a revamped programming line-up to make space for France 4-type shows. At the same time, France Télévisions will focus on making developing a digital-only offering for young people. France 3 will see the amount of regional programming it air trebled from the current two hour daily regional opt-out. Regarding France Ô, the channel dedicated for France’s overseas territories and departments, Nyssen said that it would be necessary to consult with citizens in these territories to determine whether an over-the-air channel or a digital offering would best meet their needs in the future. Nyssen also said that the country’s various public media organisations would have to develop “synergies” and would have to find further economies and rationalise their management. She stopped short of calling for a single management structure or of quantifying the economies she had in mind. Nyssen, quoted by Le Monde, said that she had in mind a “universal” public service media that was capable of resisting “new competition” and responding to citizen’s evolving needs. She said that the goal was to focus “on content more than on distribution”. Nyssen said that France Télévisions would have to invest €150 million more a year in digital as part of a drive to address changing media consumption patterns among young people in particular. She said that the broadcaster currently only invested about 3% of its budget on digital – about €100 million a year. She also said that as part of the drive to further the regionalisation of France 3, the channel would launch a trail of a joint morning programme with radio service France Bleu in two regions in the autumn. On speculation that the digital-terrestrial slot currently occupied by France 4 would be granted to news service Franceinfo, she said that this was a matter for regulator the CSA but noted that the service’s current place in the DTT line-up was “a real handicap” to its visibility. Nyssen said she would commission a task force comprising UniFrance chief Isabelle Giordano, former CSA director-general Frédéric Lenica, Fablabchannel founder Claire Leproust-Moroko, former BBC executive Catherine Smadjia and former France Télévisions president Marc Tessier to take the reform process forward.